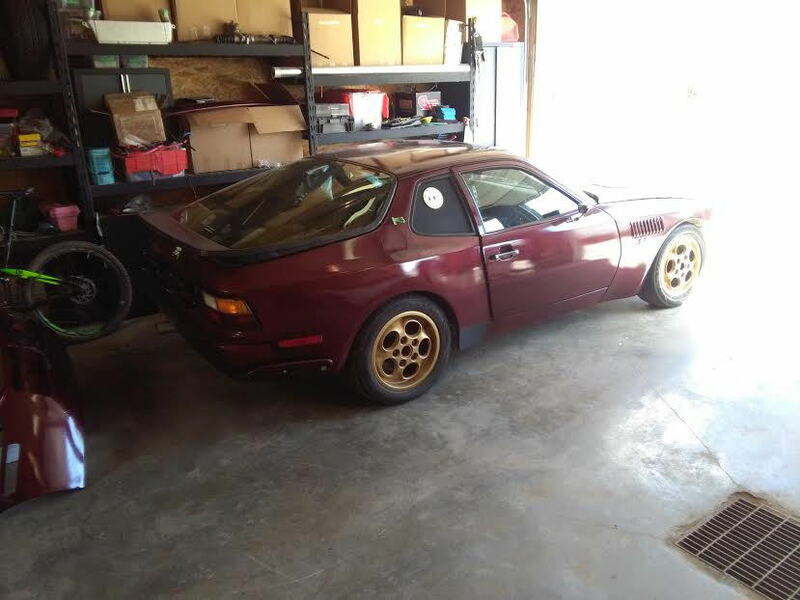 Subject: 944 n/a converts to semi-race/semi-street badass with ebay turbine. Stage 1: low boost , no intercooler. Yipee! Okay... maybe not a great victory, but I have officially driven the car out of the garage for the first time in like 2.5 years. It felt weird. 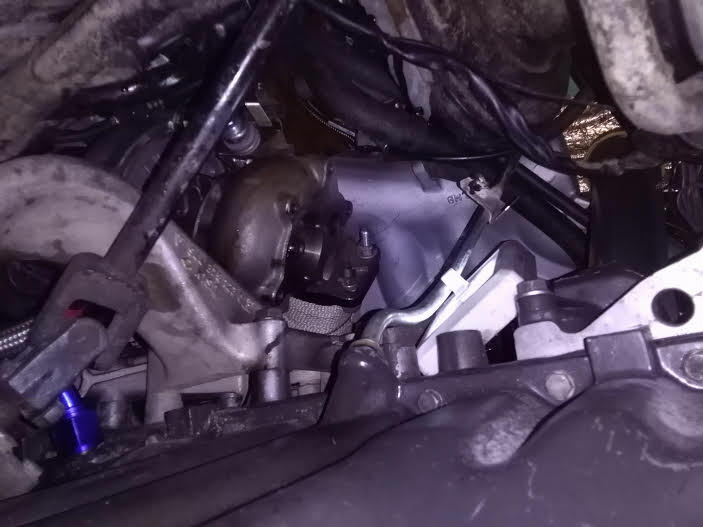 And there's a major oil leak at the oil pan where the turbo drain hose mounts to the welded bung. Also my signal lights don't work and I don't have a nose panel on, but this was a success (in a way) because over the last bit (since I posted the video of it actually starting - with friend Bearded Brian, I moved a lot of the electrical/electronics into the cabin. Congrats! Weird or not, I'm sure that was a good feeling. 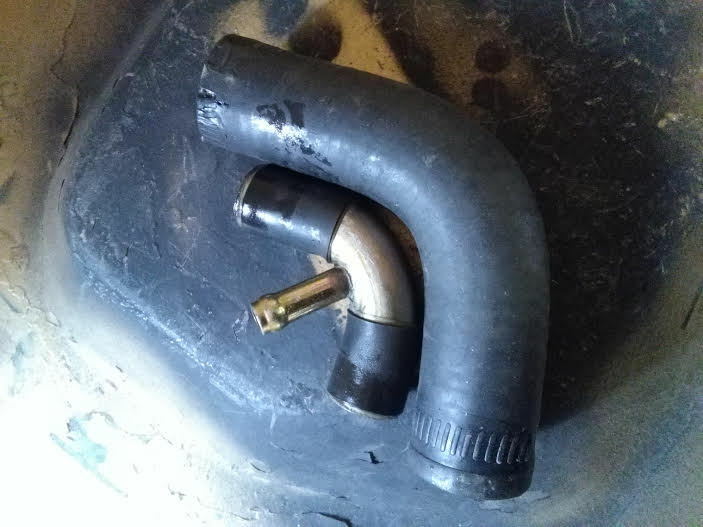 Major leak from the turbo drain hose that came with my ebay t3/t4 turbo kit. Under closer inspection, the inside of the sealing area was scratched, caused by a crappy install. Fortunatley the kit came with another end & so I installed this p.i.t.a. with a bit more strategy to encourage better sealing. Will be testing shortly! 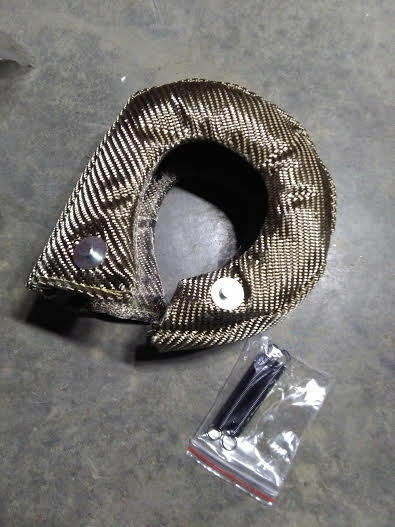 Also got this super thick beauty of a turbo blanket to help keep the temps lower. Frig. Fix one oil leak and then another surfaces. 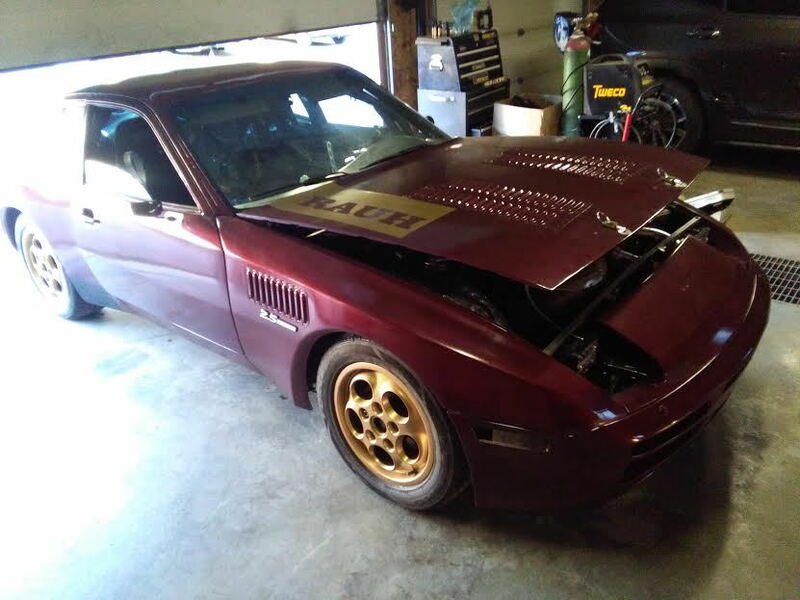 Just praying it's not the turbo oil seal. The good: heater works, coolant is bled. And the exhaust rumbles so good. Was hoping this wouldn't be the case, but it is; the oil seal of the turbo is leaking oil into the down pipe. Caught in time to not destroy the cat converter, but with less than 1 mile on the car, this is a problem. Note: the blue fitting on the left is my welded drain bung. 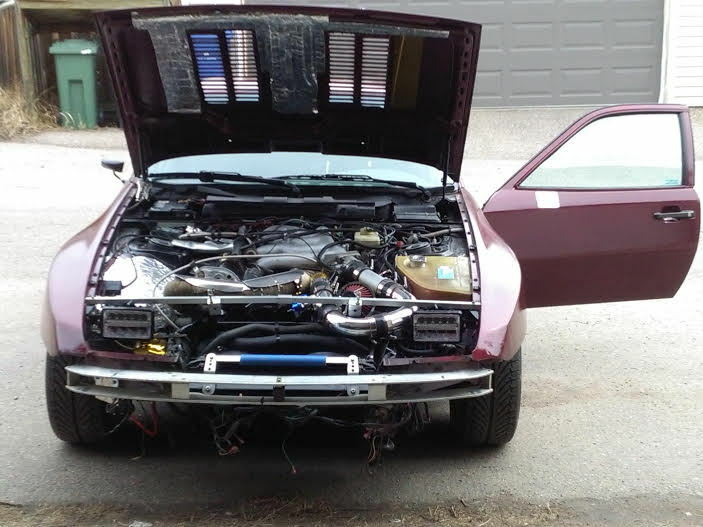 I quickly removed the exhaust manifold cross over pipe & verified no oil coming from the power cylinders. 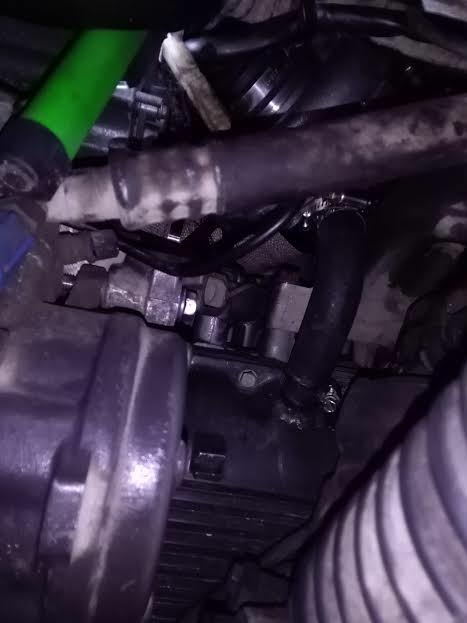 So tomorrow I will try a few thing to determine if the problem is my drain method or the turbo itself. How does the oil drain pipe look like? Have you double checked that there is good flow and no obstruction in the pipe? Cedric, thanks for asking. I was running the braided stainless & it had some crappy angles. 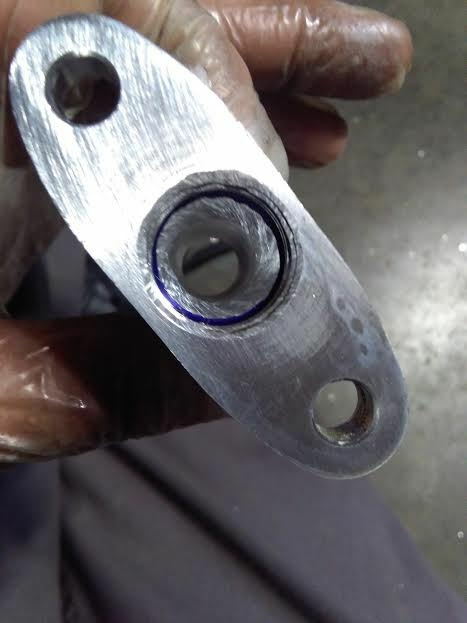 Bottom turbo drain fitting has bad flow characteristics so I bored & chamfered. Also vastly improved the tube position. Getting the down pipe back up is much harder than removal. My neck is sore... I had to walk away because I feel like punching this car off a cliff. Plus I gotta take a poop. Hmmm, good idea. 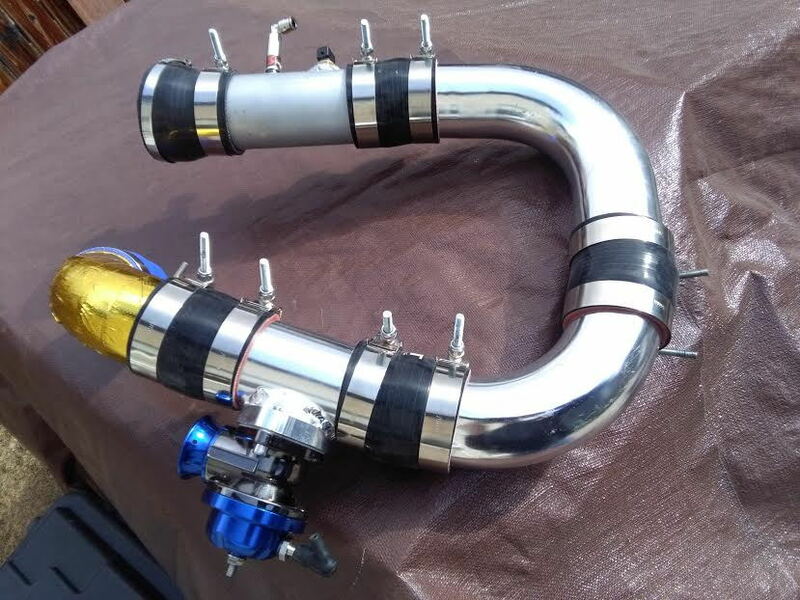 I did make the exhaust with a few v-clamps. 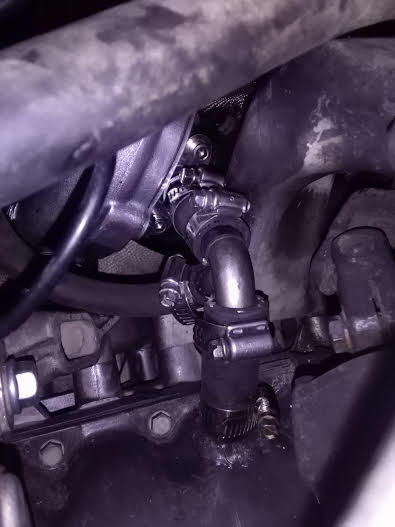 update: Learned the "way" to massage the downpipe back into position. It'll be easier next time. After install I idled the car and some oil is still coming out. 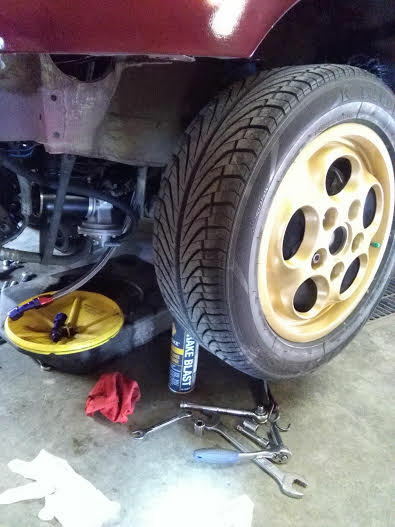 This time I drilled two 1/4" holes at low points in the exhaust before the cat to act as drain points and also indicate oil leaks without having to drop the down pipe (to be welded after correction is made). Still leaking. Dug up 944online's 951 document. Do you think I can "Tee" in a breather? 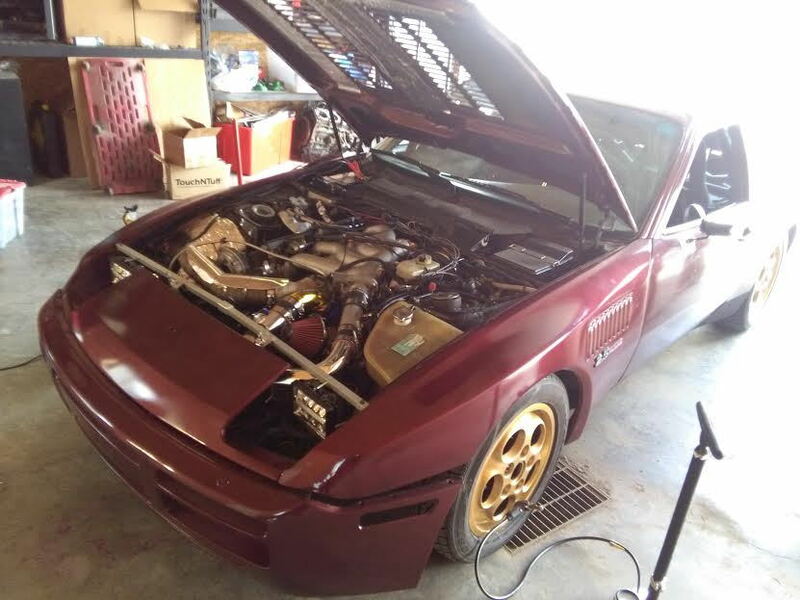 Because there are 2 solutions I can think of:- create a breather situation or create a negative pressure in the sump (my original plan, which is why I bout the 12 v diaphragm vacuum pump, but then 951and944s said it probably wouldn't last long with oily contaminants and I tend to agree... additionally it'll be running a lot to attempt to achieve vacuum goals and that's probably hard on it. I thought of running crankcase gases through a catch can first, but it'll still be oily after, no? Okay research, the high dollar solution is an electric oil scavenge pump. Very slick! 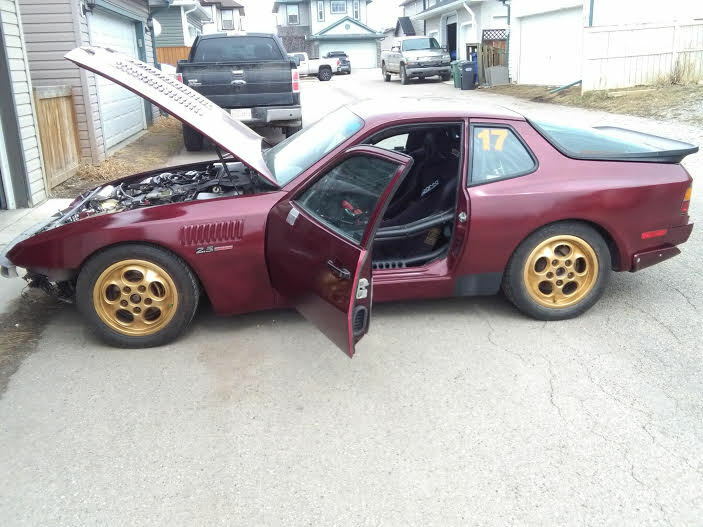 However since I'm between jobs and trying not to spend money, plus Porsche obviously had designed something that works, so I tried mimicking Porsche by modifying a 944 air management n/a "T". Last night tried adjusting the ecm values for fan on/fan off. Found the fuse had blown (I suspected this might happen at some point). Repaired with new fuse & disconnected one of the engine cooling fans. ***Question: Do the 951 cars typically operate with one fan only and the second is just used for A/C? *** I remember thinking this is how my N/A was, but in this case I wired them to both come on/off at same time. Anyway, now the fan has values set & it'll be super easy to adjust them with this programmer (above). After the fan parameters, I followed instructions to perform the MOST CRITICAL function: calibrate the ecm ignition timing. It was simple once I wrapped my head around what and why. Basically: mark a white spot (I used "white-out" correction tape on the top of the crank pulley when at TDC and used a timing light to see how many degrees BTDC spark plug #1 was firing. 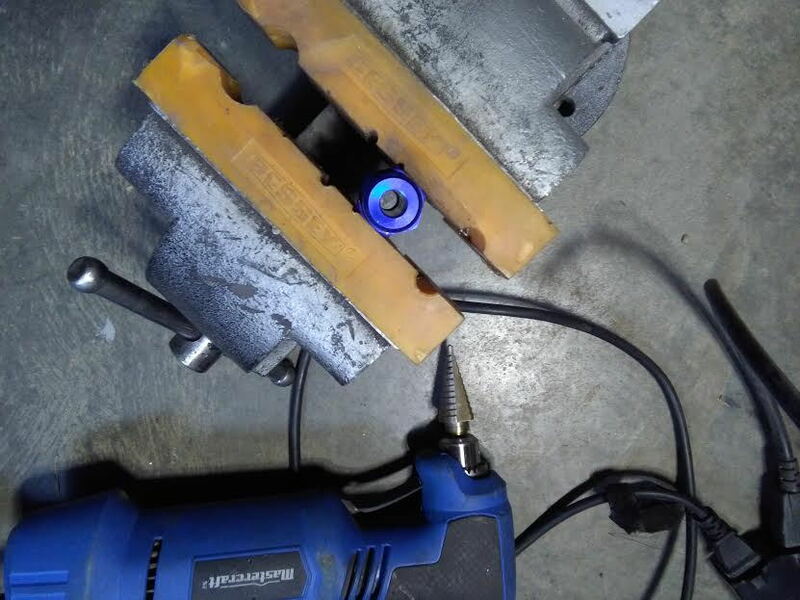 Then changed the "magnet position" value from 80 degrees to 90 degrees and that changed the spark BTDC from 32 degrees to 10 degrees when idling. 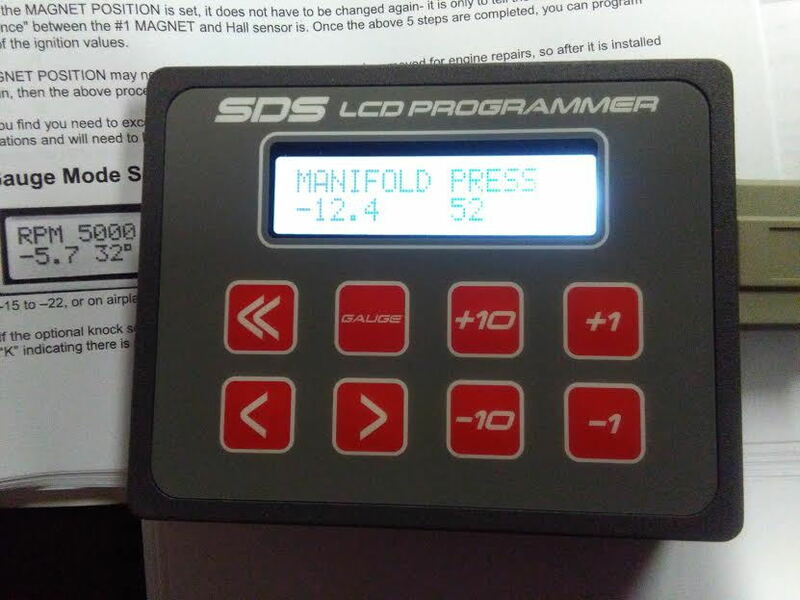 Then "locked" it into the ecm, so the SDS EFI ecm retains the parameter when disconnected from the batt.